Have your family ready for that unexpected emergency with Valley Food Storage. With a 25-year shelf life, Valley Food Storage offers the highest quality and real ingredients in all of their products. Experience healthy, great tasting food storage that will get you through unpredictable times. Not only does Valley Food Storage offer long-lasting food products for emergencies, they also have great tasting meal options for the avid camper or backpacker. 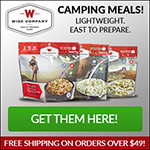 These freeze-dried meal kits can be added to any camping pantry and make quick, easy, delicious meals while on your adventure. You can choose from a variety of breakfast items, eggs and dairy, as well as lunch/dinner meals. There are even gluten free and dairy free options for those with specific dietary needs. Get your 1 month, 3 month, 6 month or 1 year supply and be ready for any situation. The prices are incredible and compared to the other leading companies, much more affordable. They have a basic and a premium food kit option. The kits are designed to feed 1 person for the month specified. For instance, the 3-month kit would feed 1 person for 3 months. 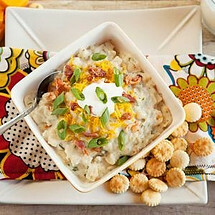 Want to give Valley Food Storage a try? They’ve made it easy, by allowing you to get Free Samples to put their product to the test. There is no shipping or hidden charges. Simply try them out for yourself and discover how delicious these meals are. This entry was posted in Special Promotions, Uncategorized and tagged Emergency Food Kits, Free Samples, Prepper Food, Valley Food Storage. Bookmark the permalink.